I've taken Maternity Portraiture for all my previous 2 pregnancies. (Click here to view Maternity Portraiture#1 and Portraiture#2) And this one, I know I want one for Little Bun as well. For me, taking maternity photos are a must. It is a phase in my life which I treasure and the photos will allow me to look back on and reminisce. I chose The K Studio because this time I wanted a Maternity Portraiture AND Family Portraiture combined. 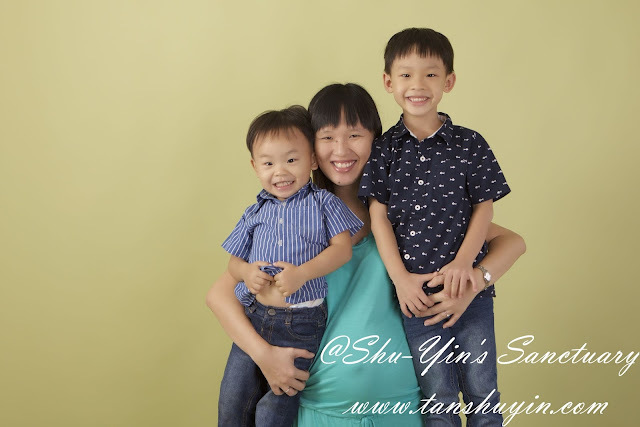 And the best family photographer I know is Karen Sim. I seriously think she takes the best family photos, especially when dealing with young kids. She is just so professional, yet friendly and really know how to put you at ease. And did I tell you that her studio has plenty of space for kids to run around, and lots toys and props to occupy them, and she even has a snack corner and coffee machine for the parents! We spent about 1hr+ there, and seriously, time just zoomed by and we felt happy and relaxed after the shoot. And my kids had been asking to go back to Aunty Karen's place ever since then! I'm going to split the photoshoot into 2 parts. I wore 3 attires during the shoot - a maxi tube pink dress, a maxi turquoise dress, and just a half body white top. I wanted this photoshoot to include my boys as well. So these are the photos of me and my boys, embracing my belly. Haha. Some photos of us wearing bright colours. Do they both look like me? A photo with my eldest boy. He has grown into a handsome young man, isn't he? And this is me with my little one. Always full of smile and cuteness. 3 of us again, with Shern standing so stylishly. And then we changed into blue tones clothings. Me in my maxi turquoise comfy dress. Shern listening to my belly. Khye giving me a big hug. Me with my 2 boys again. 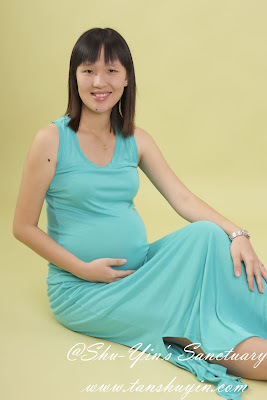 And lastly, hubby & I managed a few shots just the 2 of us + Little Bun in my tummy, while the kids ran about the studio. Lastly, a photo of my 2 boys and one in my tummy. The photos all turned out so great right? I'm loving them so much. 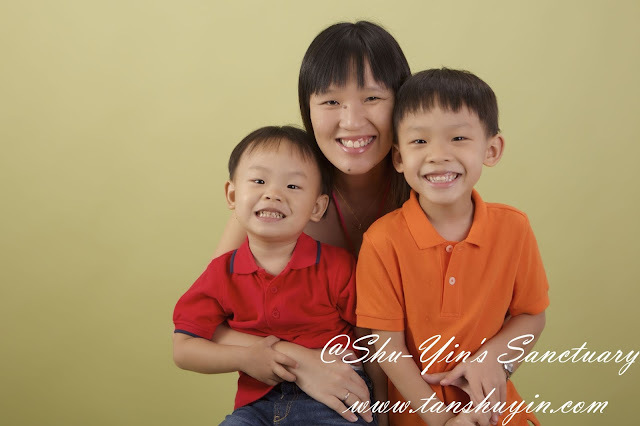 Look out for more photos in Part 2: Shern, Khye and Family Portraiture of 4+1.